Yet another example of why Northfield is such an amazing place to live, work, and play. Whether you consider the college students as one-third an average consumer, or subtract out the temporary college residents and add back four years’ of Northfield High School graduates, we’re really more like a town of 14,500 (okeh, the Market Area Profile totals 38,899) in Greater Minnesota (okeh, we’re less than forty-five minutes from the airport). Some people might dismiss us as a small town down near the Iowa border. However, if you just happen to be free at 11:30 a.m. this morning (Thursday), you could attend a panel discussion marking the 50th anniversary of the death of Albert Camus. 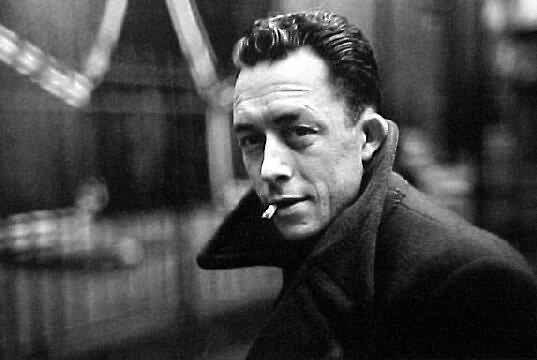 Thursday, October 28th: In Celebration of Albert Camus, 11:30 a.m., Rolvaag 525 on the St. Olaf College campus; Summer and Smoke, 7:30 p.m., Arena Theater on the Carleton College campus; St. Olaf Orchestra Concert, 7:30 p.m., Skoglund Center on the St. Olaf College campus; High School Orchestra and Choir Concert, 7:30 p.m., Northfield Middle School; Jordan Taylor, 8 to 11 p.m., Tavern Lounge; and Matt Arthur and Friends, 8 to 11 p.m., Contented Cow. Friday, October 29th: Tim Freeland, 6 to 8 p.m., Butler’s Steak & Ale; Opening Reception: Michael Frey and Karl Nelson, 7 to 9 p.m., Northfield Arts Guild; Summer and Smoke, 7:30 p.m., Arena Theater on the Carleton College campus; Sweet Jazz, 8 to 11 p.m., Tavern Lounge; Carleton Symphony Band, 8 p.m., Concert Hall on the Carleton College campus; and the Cleveland Avenue Band at the Contented Cow. Saturday, October 30th: Riverwalk Market Fair, 9 a.m. to 1 p.m., Bridge Square/Riverwalk; Summer and Smoke, 2 and 7:30 p.m., Arena Theater on the Carleton College campus; Wendy Russell, 6 p.m., Butler’s Steak & Ale; Poor Howard Stith, 7 to 9 p.m., Hogan Brothers Acoustic Cafe, Haunted Library II: The Asylum, 7:30 to 9:00 p.m.; Northfield Carnegie Library; Lonesome Dan Kase, 8 to 11 p.m., Tavern Lounge; and Occasional Jazz, 8:30 to 10:30 p.m., Butler’s Steak & Ale. Sunday, October 31st: Boo Skate, 10:45 a.m. to 12:15 p.m., Northfield Ice Arena; Jazz Concert, 3 to 4:30 p.m., Concert Hall on the Carleton College campus; Violinist Benjamin Sung, 3:15 p.m., Skifter Hall on the St. Olaf College; Politics and a Pint, 6 p.m., Contented Cow; Pipes, Pumpkins and Pferg, 7:30 p.m., Boe Memorial Chapel on the St. Olaf College campus; Northern Roots Session, 7:30 p.m, and Quiz Night, 8 p.m., Contented Cow.